Hard fight, easy fight, stomp? its the surf bro. He wins by being too tubular bro. surfs up in pound town for team. surf blitzes and fractures their reality so bad that superman himself cringes from it. He demolishes them on a historic level, worthy of a hundred thousand war songs to be forever sung in the surfers name. He creates such a substantial victory that it literally forms an entire multiverse just to house the shame these two will have after. the amount of pain he puts them through is literally uncomprehendable and dwarfs any other experience either of them has ever had before multiplied exponentially. within a single attosecond he literally deconstructs their entire comprehension of what their reality is and reforms it into a hundred billion years of constant torture. @chair-sama: Narly waves brah , he's too cool for school dude . Surfer takes takes him far brah. oh yea dude, surfer is like the total dude, dude. he does that whole thing with the *woooooosh* and then like *pow pow pow* and like it all goes *BOOM* and like, everybody goes *yeaaaaaa* and yea dude. he rides this wave for sure. If Norrin has morals on, isn't there a chance that an aggressive fighter like BA overwhelms him physically? BA is going to hit hard from the jump, something I thought Norrin doesn't do. He's not going to tart with black holes and all that jazz...right? And in the event that he doesn't, BA (plus Shazam), can pound him. No one thinks the team has a chance?? Even when morals on, Surfer won't hold back for too long because they aren't his friends. And good luck overwhelming surfer, because surfer has withstood far more than adam could output, and he is physically stronger. Yeah, he is not going to open black holes and all that stuff, because 95% of his fights are energy blasts, but he can KO them with energy blasts. He's PHYSICALLY stronger than them? I thought most give Superman the nod over Surfer IF it comes down to a hands on battle. People say Surfer has to drain Superman (or some other OP cosmic power) or else he gets pummeled. BA is on Superman level of strength. Not to mention, is Norrin's COMBAT speed THAT fast? 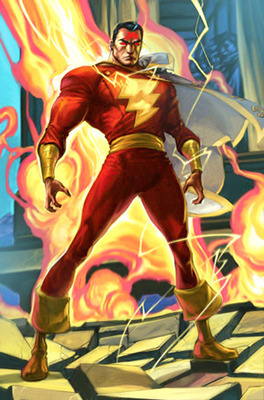 He'd be able to tag BA AND Shazam with high powered energy blasts? 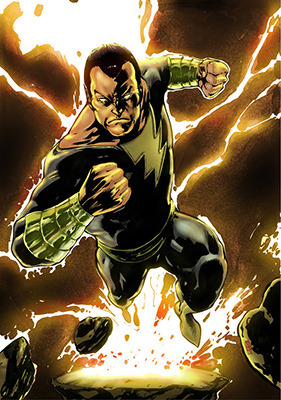 Yes he is physically stronger than them and has speedster speed. He is easily as strong & as fast as non holding back superman if not more. Do you have scans of his physical strength being above Superman's level? Surfer, his energy blasts have a way too high damage output for Billy and Adam to withstand for very long. I disagree with the majority, Surfer just as likely to lose as he is to win imo. We have two faster, arguably stronger and tougher Supermen that aren't going to hold back as much as Surfer will and this time he has no way to depower them and both are fast enough to fly back if he tries to bfr. I say 50/50, half the time Surfer resorts to super drastic measures to win. My boy Norrin takes the victory. Norrin wins unless Batson pulls out a move like he did against Yuga Khan. Really? Why does Surfer have to depower them when he can just blow them up. @kevd4wg: Opinions change after a while. But does Surfer actually just go around blowing people up?